Brand Best Practice: To insure success of your brand, connect it with a solid business plan to better insure the business will be profitable. Build your business success on a solid foundation, with a brand that provides customers what they want, how they want it and at a price they can afford. Part of that solid foundation is a business plan that assists in implementing and monitoring the brand along with proactively guiding future operational decisions that complement the desired brand. 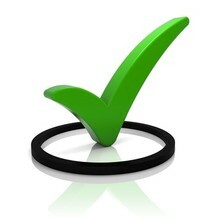 Action Step: Complete or update a current business plan. No cost class, due to sponsor support to help you. Cost: Program is offered at no charge, due to sponsor support, from the State of North Carolina and Blue Ridge Community College Small Business Center. Description In this day, create a business plan. 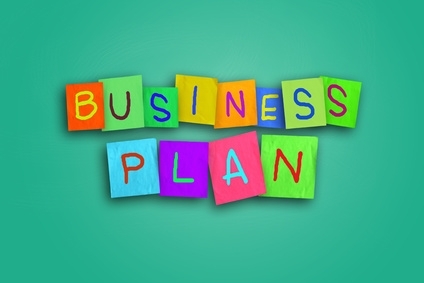 A business plan can be the most important tool a small business owner has. Learn how to turn your ideas into a solid plan for financing and long-term success. This seminar teaches you the important components of a business plan and helps you lay the foundation for a winning plan. Find out how marketing, operations, and finance are inter-related. Discover how a business plan is used by potential lenders, the dos and don’ts of writing a plan and steps for making the process easy. This seminar is designed for pre-start, start-up and existing business owners that want to create a business plan for 2019 to manage their business or access money through through local microloan organizations, SBA, traditional banks, angel investing, bootstrapping, crowd funding, etc. Note: Class will take place in a computer lab. If you have a lap top computer you can bring it. The Henderson County Chamber of Commerce Business Plan Competition is offering a business plan competition. This class will help you prepare for it. Application available in the class. Win Free Business Services – enter the Annual Business Plan Contest Turning your ideas into a growing business starts with a plan. If you’ve got the determination and drive to create a growth company or improve your existing company, here is your chance to win and turn your dream into a reality! The Henderson County Chamber is sponsoring the Annual Business Plan Contest with the winner receiving free services such as advertising, tax, legal, marketing and more! Interested participants will receive a copy of the detailed elements on which the business plan will be judges. The Business Plan Contest is open to business start-ups as well as existing businesses. You do not need to be a Chamber member to participate. Electronic submissions are due by TBD and should be emailed to chamber@hendersoncountychamber.org. A panel of judges will select the winner, announce the results and present the award at the Blue Ridge Business Growth and Business Plan Awards Reception on TBD – part of Small Business Week.